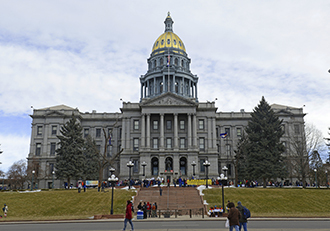 Coloradoans aged 50 and older now have an opportunity to voice their opinion on state government and the issues affecting the state's aging population, according to a nonpartisan group that advocates for seniors at the state Capitol. Colorado Senior Lobby (CSL), a non-profit and all-volunteer organization formed in 1980, today began distributing a statewide survey to gather data that will be shared with government officials during the legislative session. "We want to hear from seniors on what issues they care most about," said CSL President Ed Shackelford. "This is the first time we have put a survey in the field and are hoping that Colorado seniors take the time to respond and let us represent their voice at the Capitol." The survey is ready online and can be accessed by a link on CSL's homepage (www.coloradoseniorlobby.org) or going online directly to http://bit.ly/csl2016. Hard copies of the survey are available by contacting CSL at 303-832-4535 or writing to: Colorado Senior Lobby, PO Box 102662, Denver, CO 80250-2662. Participants in the survey will be asked to identify their top issues, express opinions on how government officials are addressing the needs of seniors, and what types of information, products and services CSL can provide. The group currently monitors and takes positions on state legislation and administrative rules, educates government officials on current senior issues, and offers advice on how to testify before legislative hearings. CSL is releasing the survey in advance of its annual Senior Day at the Capitol, which will be held for the 35th consecutive year on Wednesday, March 30. The day features remarks by government officials and opportunities for seniors to talk directly with legislators.